We haven’t really learned anything new since our last compendium update, but there has been a new development since Vox Machina returned from the Feywild. There is now some kind of cyclone at the top of Entropis that shreds anything that tries to get close. Vecna has consistently pinged on Vax’s Vecdar™ as being at the top of the tower, so this was presumably an effort to force Vox Machina to either climb the tower or attempt to bring it down via Earthquake. It could also be a side effect of whatever horrors he’s preparing for a very nearby Vasselheim. When Vox Machina managed to damage the wall and protective energy barrier surrounding Thar Amphala, Vasselheim was only a few miles away. In preparation, the hordes of undead within the city appear to be more organized, patrolling in packs and marching for assault rather than wandering at random. Thankfully, Devo’ssa and hundreds of wyvern riders managed to survive the hours it took Vox Machina to climb the titan, and they have engaged in a dogfight within the barrier with the hundreds of gloomstalkers above the city. We can only hope the ground forces of Vasselheim are just as prepared if Vecna sends out his armies in advance of the titan. For those counting at home, that’s at minimum two 6th level spell slots, two 7th level spell slots, an 8th level spell slot, and a 9th level spell slot. We don’t know what level the two counterspells were cast at, but just from the spells we can confirm, Vecna was at least a level 20 spellcaster when he was mortal. It’s likely he’s even more powerful as a minor god. Vecna’s last little gift to Vox Machina was a pricey one, in terms of spell energy. Gilmore’s description of what happened to him sounds very much like a modified Gate spell (Gate spells usually only act across different planes of existence, making them useful for, say, dragging a goristro from the Abyss to fight an ancient white dragon). Cassandra and Kaylie probably experienced something similar, meaning someone cast the equivalent of three 9th level spells within the last few hours. 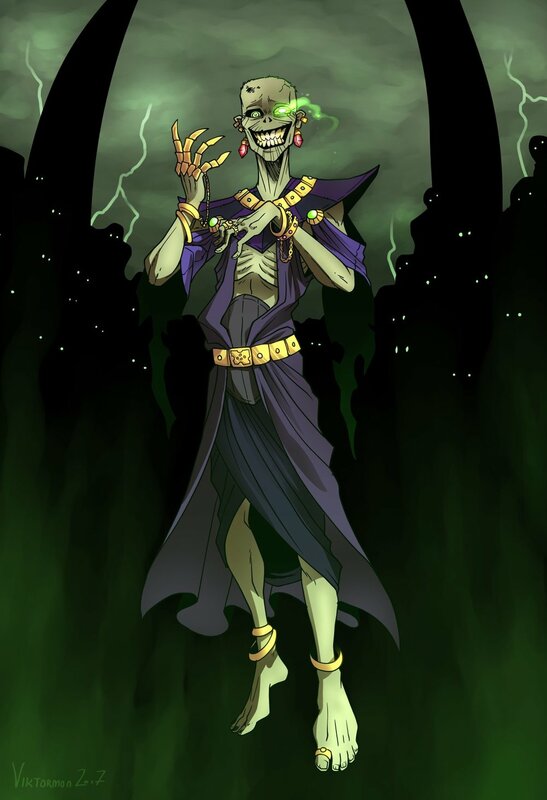 It is possible that Vecna’s followers cast at least one of those, or that one or more were cast via scrolls, or even that he’s now a god and can do this at will (which has some terrifying implications for the battle to come). Outside of spells, we also know that Vecna was immune to all non-magical damage, can fly, and had at least two legendary actions per turn. Presumably he also had legendary resistances, though he didn’t need to use any during their last encounter. Again, it is possible he’s even stronger as a minor god. According to the Sword of Kas, Vecna "likes a show," so expect something big. 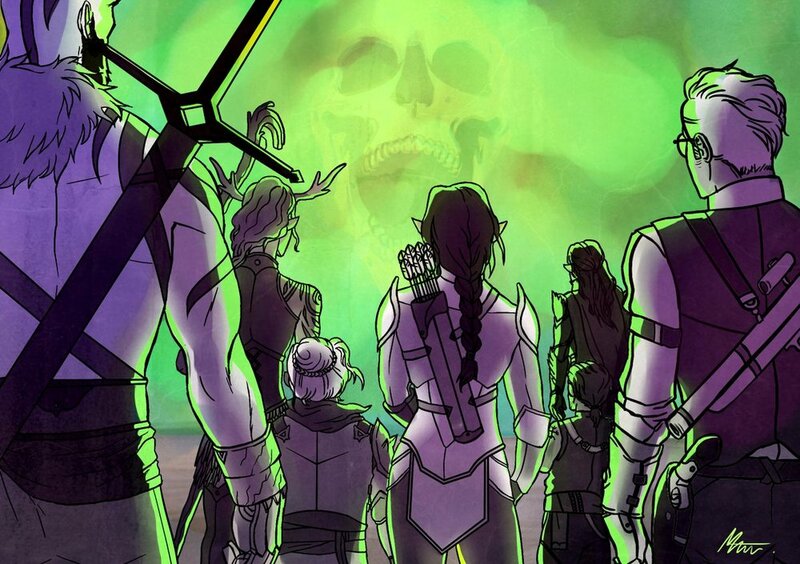 Vax’s sacrifice to Artagan was not in vain: Vox Machina is in much better shape than they were before going to the Feywild. They have the vast majority of their spell slots and abilities, though probably not as much as they’d like. A short rest would have been nice, but the risk of facing a vengeful Sylas at the top of the tower with Vecna was too high. 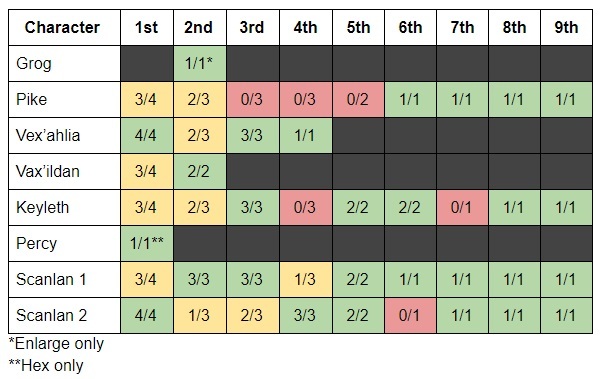 Unlike last time, all members of Vox Machina (except Trinket and Scanlan 2) are immune to being held (either via Freedom of Movement or items), they ate a Heroes’ Feast, and Scanlan 1 is protected with a Death Ward. They also have blessings from Sarenrae, Pelor, Ioun, and the Raven Queen, and a fairly solid idea of how to finish Vecna. Note: In the below lists, Scanlan 1 is the original Scanlan. Scanlan 2 is the simulacrum.